How much is Nathan Fielder Worth? 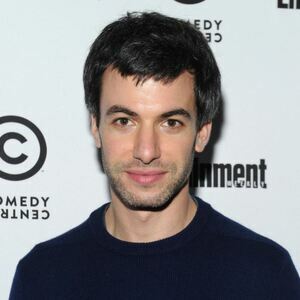 Nathan Fielder net worth and salary: Nathan Fielder is a Canadian writer and comedian who has a net worth of $3 million. Nathan Fielder was born in Vancouver, British Columbia, Canada in February 1983. He was a member of the improv comedy group at Point Grey Secondary School along with Seth Rogen. Fielder won the Tim Sims Award in 2006 for outstanding Canadian comedy newcomer and joined the CBC comedy series This Hour Has 22 Minutes as a field correspondent and writer. In 2007 Fielder wrote for reality TV series Canadian Idol. He wrote for the TV series Important Things with Demetri Martin in 2010 and Jon Benjamin Has a Van in 2011. Since 2013 has written for and starred in the Comedy Central series Nathan for You. As an actor he starred as Nathan in the television series Jon Benjamin Has a Van. Fielder has also provided voice work for the TV series Bob's Burgers and The Simpsons. In 2014, Fielder made international headlines when his show Nathan For You orchestrated a parody Los Angeles coffee shop called "Dumb Starbucks Coffee". He has been nominated for a Gemini Award and a Writers Guild of Canada Award for This Hour Has 22 Minutes. He appeared in the 2017 movie The Disaster artist. In 2018 he worked as a co-director and writer on the Sacha Baron Cohen show "Who Is America? ".